The University of West London Alumni Board is the representative body of the University’s alumni community. Established in 2008 the Board meets quarterly to review and develop an inclusive alumni programme aimed at engaging former students as a strong and effective lifelong support network both for the University and for its alumni. Alistair Telfer was born in 1965 and educated at what is now the University of West London. Arriving in 1982 to the Hotel School he completed a BTEC Diploma and Higher Diploma in Hotel Management. He then went on to study a Postgraduate DMS at the Business School and finally completed an MBA graduating in 1993. He was a Governor of the University from 2000 – 2010, also chairing the Audit and Risk Committee. In November 2010 he was made the first Honorary Doctor of the University of West London. Alistair is currently Secretary of the Oxford and Cambridge Club, but has held previous positions as Secretary of the Carlton Club, General Manager of the Hurlingham Club and Senior Operations Manager for the MOD division of Compass Group. He is a Past President of the Institute of Hospitality, and is currently a Council Member for the sector skills council, People 1st. 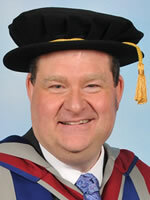 Alistair is Chair of the University of West London Alumni Board. Following 8 years of study and 10 years as a Governor, Alistair has never really left the institution after graduation. He is passionate about enabling students to fulfil their true potential and currently has 10 staff studying at the University of West London. Having gained so much from the University he is delighted to be able to give something back by being involved with the Alumni Board and to encourage other Alumni to stay in touch and get involved with supporting their University. Elizabeth was the first ever UK Sickle Cell/Thalassaemia Nurse Counsellor. Formerly a Professor of Nursing and Dean of the University of West London's School of Adult Nursing Studies, Elizabeth was also Head of the Mary Seacole Centre for Nursing Practice before retiring in 2007. In 2017, she was made a Dame Commander of the Order of the British Empire (DBE), for services to nursing and the Mary Seacole statue appeal. Elizabeth remains an active member of the University community as an Emeritus Professor of Nursing and is a member of various committees including: NHS Equality & Diversity Council and Vice-Chairperson of the Mary Seacole Memorial Statue Appeal. She is also Patron of the Sickle Cell Society and Nigerian Nurses Charitable Association UK. It was brought to my attention that the Alumni Board were seeking volunteers and I was delighted to become involved, both because of being a former Professor of Nursing at the University and also having studied French there. In addition, in this difficult economic climate, I wanted support the efforts of the Alumni Association, by making regular donations to support current students within the College of Nursing, Midwifery and Healthcare. 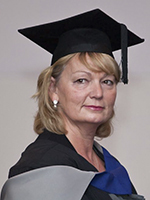 After achieving her first degree in Midwifery in 1992, Gergana Nikolova completed the Mentorship and Healthcare Professionals course at Thames Valley University in 2007. She returned to UWL to study an MSc in Advancing Practice (graduating in 2014), where she had opportunity to become a supervisor of midwives, to conduct research and to gain knowledge and understanding of the maternity services as a whole. Since graduating, Gergana has been working as a midwife at a senior level and is currently working as a Clinical Risk Midwife for Hillingdon Hospitals NHS Foundation Trust. She designed and implemented the first online antenatal and postnatal education programme presented at Frimley Health NHS Foundation Trust. Gergana has also spoken at many conferences and published a series of articles in Practicing Midwives, Midwifery Digest, as well as becoming a columnist for the biggest maternity journal in Bulgaria. 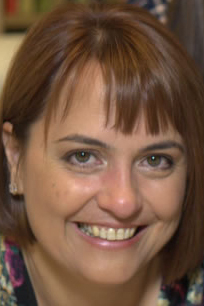 In 2015, Gergana was awarded the prestigious Mary Seacole Award for the ‘Online Pregnancy Information Programme for Black, Asian and ethnic minority mothers’ project. She was also honoured to be appointed as one of the first RCM (Royal College of Midwife) Fellows. Judith attended Ealing Hotel School from 1964 to 1968 and completed the National Diploma in Hotel Keeping and Catering Management. Her professional career has included posts in the Royal Air Force Club in Piccadilly, Hilton International in Abu Dhabi and Al Ain (UAE) and latterly in the Contract Catering Sector in London at High Table, Avenance and Elior UK as Operations Director. Judith is a Fellow of the Institute of Hospitality and was chair of the Hotel School's Graduate Association for over 10 years. 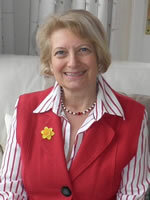 Judith was made an Honorary Fellow of the University in 2004. She believes, having gained so much knowledge and expertise as a student it is important to give something back and work with current students and staff in assisting with careers advice and work placements. She also enjoys networking and fundraising. Judith feels it is important that the University works to enhance its reputation and feels the alumni community have an important role to play in this. Tony Coad gained a Diploma in Management Studies at UWL (then called the Slough College of Technology) in 1973 and was motivated to study there after hearing an inspiring national radio broadcast by the Principals of the course. He also holds a HND from Watford College of Technology and an MSc in Business and Administration from London Business School. He was awarded an Honorary Doctor of Letters from UWL in 2017. Tony has had a successful career, with notable appointments including his role as Founder Managing Director at NDL International Limited from 1985-1994 and Development Director at Telegraph Publications Ltd (Publishers of The Daily Telegraph) from 1994-2001. He was also Founder and Chair of advertising agency Coad, Cole and Burey Ltd, as well as of Rendham LLP, a marketing consultancy. 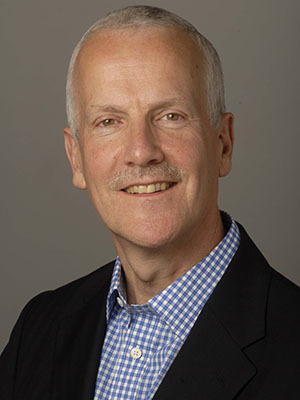 Tony is now retired but continues to stay active in his roles as Governor of Cambridge University Hospitals NHS Trust, and as a member of the UWLSU Trustee Board. He was a Governor of UWL from 2007-2016 and joined the Alumni Board in March 2017. Tony believes that it is essential for the University to have comprehensive contact with alumni in order to gain feedback on the effectiveness of the institution, as well as on the environment in which UWL operates. He considers alumni to be valuable in their role as ambassadors and advocates of the University, providing specialist and expert input into courses, and supporting financially. Tony sees the Alumni Association as providing graduates with a valuable network to support their careers and business development. Paul was born and raised in North-West London and started work in 1981 in a retail store in Watford. A change of career to administrative duties for the Metropolitan Police led to an opportunity to work in computer operations and then support and development. A further move to his current employer and a global support role led to development roles in multi-lingual installations. In 2009 I decided to study for an HND in Computing and Information Systems at Thames Valley University in Reading. Having achieved that, I started the BSc course at the University of West London in Ealing; graduating with first class honours in 2011. Having gained my degree, I felt that it would be nice to give something back to the University so when asked if I would like to join the Alumni Board I was more than happy to volunteer. I feel that ensuring the continued support and development of the University of West London is important for current and future generations of students and if I can play a small part toward this it is worthwhile. After an earlier business career Laurence attended the London College of Music, studying piano performance, classical composition and jazz on the Associate Student Scheme for part-time mature students. He stayed on as a postgraduate and obtained his MMus in Composition for Film and TV in 2014. 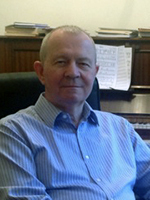 As a composer Laurence is active across a variety of genres. He has written film music for clients in the healthcare sector and a music video for the 2012 Cultural Olympiad. He has won awards for his classical compositions and plays and writes charts for a jazz band. He supports innovation in the finance sector through advisory or non-executive roles, is a Governor of Hampton School and a Fellow of the Royal Society of Arts. Laurence feels that a healthy connected relationship between the University and its alumni benefits both sides, providing opportunities for staff and students to broaden their engagement with industry professionals and enabling alumni to keep in touch and to give back to the University in various ways. He believes that alumni relations activities should encompass programmes for networking amongst alumni and facilitate a range of contacts with the University, such as attending student performances, workshops and discussions and keeping updated on research, whilst enlisting their support as advisers, speakers, mentors or donors. 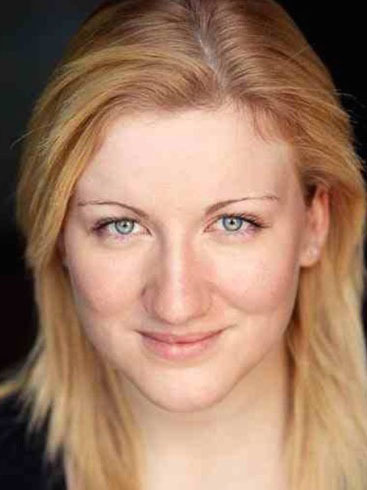 Kate studied BA (Hons) Musical Theatre at London College of Music, graduating in 2014. She is grateful that, whilst studying, she had the opportunity through the University of West London to work with companies such as the BBC, and perform in venues such as The Savoy Hotel, Charing Cross Theatre and the Royal Albert Hall. Prior to studying at London College of Music, Kate undertook LCM Musical Theatre exams and won several awards for gaining the highest marks in her region. She continued to attain qualifications during her studies, and in addition to her degree, she holds Associate of the London College of Music (ALCM: Musical Theatre). Since graduating, Kate has had performance contracts in London and Spain, and worked on a theatre tour in the north east of England. She has also worked in financial services, and her role now consists of fundraising, business development and alumni management in a music theatre company which stages productions nationally. As a recent graduate, Kate is looking forward to being a part of the Alumni Board and being involved with UWL once again. She believes establishing connections across industries and networking are important, to assist the progression of both the alumni and the university. 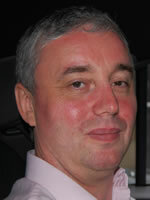 John is Senior Partner at Palmers Solicitors in Kingston. 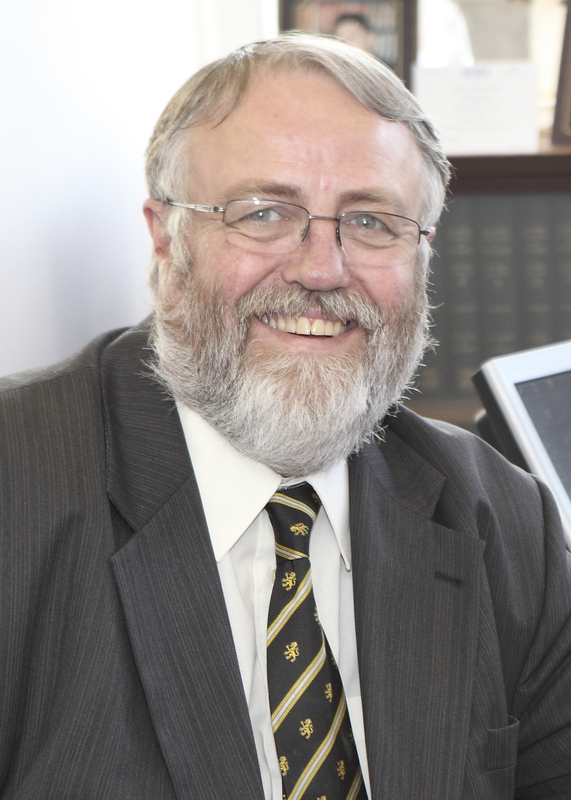 Having been articled to John Palmer, of Palmers Solicitors, John became a solicitor with the firm in 1978, was appointed partner in 1982 and finally Senior Partner in 1996. He is a Council Member of the Law Society of England and Wales and was previously President of the Surrey Law Society. John has been Vice-Chair of Governors at Hampton School since 2011 and is an active member of the Old Hamptonians Association. John’s great passion outside of work is music, having sung on a semi-professional basis at all major concert venues in London and throughout the UK. From 1971 to 1984 John was a member of the City of London Choir and sat on their committee for 10 years, in addition to a 3 year term as Chairman. He continues to be an active member of several choirs, including the Choir of 21st Century, Tallis Chamber Choir and the Joyful Company of Singers, as well as being a Trustee and Administrator of the Bridgeman Singers. When I needed Ealing Technical College, as it then was, it trained me for the career I have enjoyed for nearly 40 years. It helped me then and I am very pleased to be able to return the compliment having had a long and fruitful career at all levels of the legal profession from articled clerk to Council Member of the Law Society of England & Wales! After completing her LLB (Hons) at UWL (then TVU) Helen then went on to the University of the West of England for her LPC course, qualifying as a solicitor in 1996. 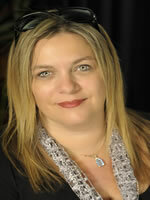 She has been helping couples resolve their family legal problems for the last 17 years. She was a Partner at two large central London firms heading up their family law departments, however in 2011 she established her own firm based in Chiswick specialising solely in family law. She wanted to be able to bring a flexible and constructive approach to all of her client’s matters, with the aim of helping them achieve the best possible outcome for themselves and their families, being also a Mediator and a Collaborative Law practitioner. Although based in west London her clients come from all over England and many are from international families giving the opportunity to work with lawyers from many other jurisdictions. She lives in West London with her husband and two young sons. I was delighted to be asked to join the Alumni Board as I want to be able to “give back” to UWL. Obtaining my degree here has enabled me to have such an interesting and enjoyable career. I am passionate about helping the students of today get a first foot on the ladder of their career at what is a very difficult economic time. I can empathise with this as it was the same when I graduated. There is such a wealth of experience and talent to draw upon from the Alumni group which can benefit all those connected with the University at any time in their career. Andrew studied on the BSc (Hons) in Construction Management at the School of Computing and Engineering, graduating in 2015. He secured pre-graduation employment with Babcock International, then was seconded to a joint venture with ABC Electrification. 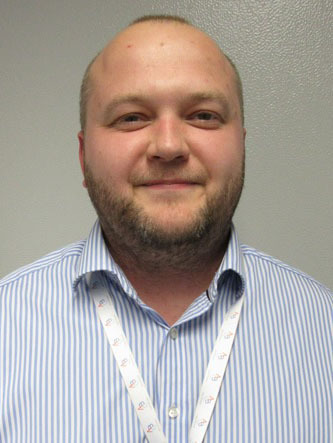 Andrew is currently employed as an Assistant Project Manager on a new electrification project within railways. This is a multidisciplinary project, working through trades and throughout various disciplines. Andrew enjoyed his time at UWL and particularly liked the 1-2-1 style of teaching and working in small groups. He was keen to remain involved with the University and in 2017 he joined the Alumni Board as the representative for Engineering and Built Environment. He considers alumni activity as necessary to keep the University, its courses, and its students – past and present – up-to-date with real world progress and to keep all content relevant. He also believes that the networking value of alumni activities are paramount to professional advancement. Debra graduated from the University of West London in 2009 with a BA Hons in Animation and now runs the thriving animation company, Webra Multimedia, from its offices at Pinewood Studios. It was Debra’s passion for animation which led her to undertake a degree at the University of West London. Debra’s enthusiasm for her subject area was evident throughout her time at UWL, where she founded the Animaniacs Society which organises extra-curricular events for students encouraging them to enjoy, and gain a better understanding of, animation and served as a representative on the Student Council as a Society Representative. Since graduating Debra has built a successful career in the film and animation industry. As a proud alumna of the University of West London Debra maintains a close relationship with the University providing invaluable support to the London School of Film, Media and Design. As part of her commitment to the University Debra regularly hosts University of West London students at Pinewood, giving them an opportunity to gain an insight into the realities of a working film studio. Debra is an active member of the Alumni Board, providing support and guidance for the wider University alumni programme. Wendy Bartlett MBE is Managing Director of boutique contract caterer, Bartlett Mitchell Ltd, which was established in 1999 by Wendy and her co-director and business partner, Ian Mitchell. The company that has grown steadily to its current level of over £20 million turnover with a team of over 550 trained foodies, serving 25,000 customers a day at over 75 locations in London and the South East. It has been voted by its team as a Top 100 Sunday Times Best Companies to work for. Prior to forming Bartlett Mitchell, Wendy worked for Sutcliffe Catering and Compass directing some of the country’s most prestigious business catering operations. Bartlett Mitchell has won many awards over the years, as has Wendy. She is one of the ‘Top 100 Women’ in the hospitality sector according to People 1st and is one of the ‘Top 100 most influential people in catering’, according to the Caterer & Hotelkeeper magazine. Among her other responsibilities with varied organisations, Wendy is also a Fellow of the Institute of Hospitality, and a board member of the British Hospitality Association, a trustee of ‘my daddy is a soldier’ charity and a member of the advisory board for the school of management at the Royal Holloway university. Being part of the alumni is really important to Wendy as it was at UWL that Wendy started her career in hospitality, studying for her OND at Ealing Collage (as it was known then) so is very grateful to have been given such a great grounding and start in the industry. Wendy also feels that the alumni is a valuable resource in hospitality as it’s very important to have a wide network and this is perfect platform to make good friends and contacts. 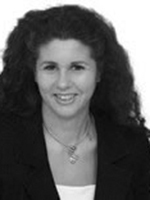 Professor Nadirshaw is a Consultant Clinical Psychologist with over 40 years’ experience of practice. 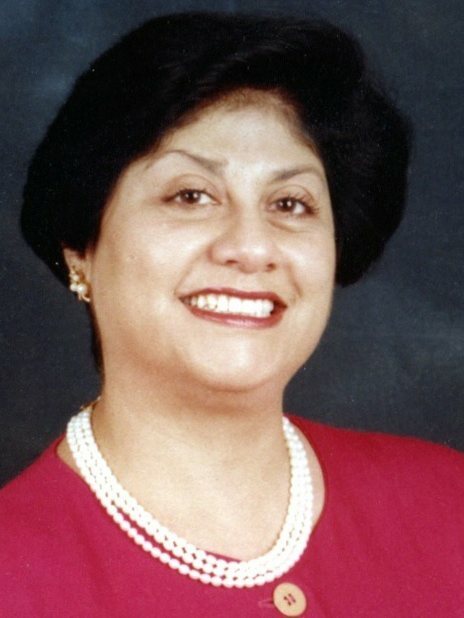 She is an external examiner of post-graduate studies in clinical psychology to three Universities, a National Assessor on behalf of the Department of Health for consultant posts, a mentor and a supervisor, editorial board member of national journals, chair and committee member of The British Psychological Society and a number of other committees. Professor Nadirshaw is committed to raising the profile of ethnic minority communities within the profession and has written, published and lectured widely on her subjects of expertise relating to ethnicity, mental health and disability. She has been the recipient of national awards in recognition of her work within the profession and her book co-edited book won first prize in the Mental Health series. She is cited as a Woman of Inspiration and most recently won the Honorary Life Fellow Award from the British Psychological Society (BPS) for her contribution to Psychology for the past 40 years. 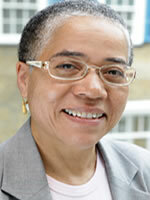 She holds an Honorary Doctorate from UWL and is Visiting Professor for the School of Human and Social Sciences. She also holds two further honorary doctorates and was previously a Governor of a London university. Commenting on the importance of being an alumni, Professor Nadirshaw says “Alumni are in the perfect position to be able to give back, by offering advice and mentoring to current students and drawing on your own experiences, you are able to really connect with the new generation of students and help to guide their journey”. Kat Hackshaw is the President of the Students’ Union at the University of West London. She also holds the position of University Governor, Chair of the Students’ Union’s Trustee board and sits on the Student Liaison committee. Kat was previously the Student’s Union Vice President of Activities and Participation (‘17/’18) after she completed her BA (Hons) in Events Management. 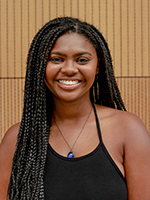 During her time as a student at UWL she was a University Ambassador, Worked in the Students’ Union as a Communications assistant and in the Representation team. She was also treasurer for the University Netball Team. Kat is very passionate and as President to look at issues around Student Mental Health support, cost of living for students, how to support them financially and removing barriers to success for BME students.